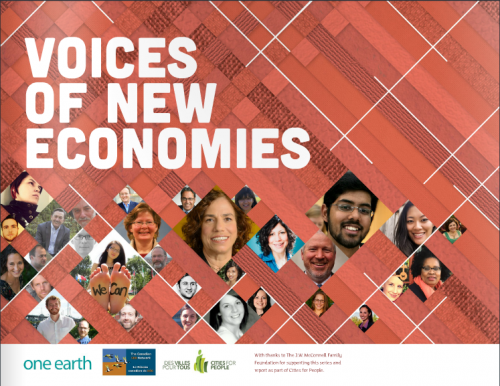 The contributors will share big ideas and concrete examples of real solutions to further explore perspectives that they and others shared in Voices of New Economies, a report produced as part of Cities for People by One Earth and the Canadian CED Network. The session offers inspiration for new possibilities that can bring us closer to a just, sustainable, and democratic society. "At the core, new economies have to be focused around people and protecting public interests, not falling prey to short- term, profit-driven private interests." "How we interact with media has changed dramatically in the last 20 years. Local ownership and control over Internet infrastructure is a key component to thriving new economies of the future."